Craig “Mr.Taper” Logan was among the 10 honorees at the Atlanta Barber Expo this past Sunday for his 21 year contribution to the industry. Congrats! 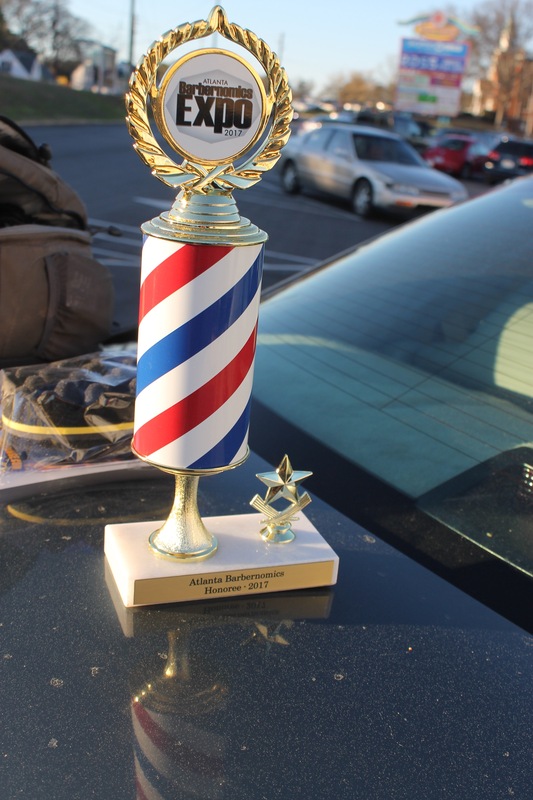 Look for the full story in an upcoming issue of Barbers Only Magazine. Posted in Shop activitiesTagged atlanta barber expo, AtlantaBarbers, AtlantaBarbershops, barbers, barbers only magazineMcdonoughbarbershops, barbersinMcdonough, EaglesLandingBarbers, EaglesLandingbarbershop, HenryCountyBarbers, HenryCountyBarbershops, HenryCountyHaircuts, LocustGroveBarbers, LocustGroveBarbershop, LuellaBarbershop, mcdonough, McDonoughbarbers, McDonoughHaircuts, McdonoughMensHair, McDonoughMensHaircuts, OlaBarbershops, StockbridgeBarbers, StockbridgeBarbershop, thotboycut, thotboyhaircut, UnionGroveBarbershopBookmark the permalink.